The release of our long-awaited Video Streaming Service (VSS) has arrived. You have been patient and now it’s time for your reward. You may now stream our programs, trainings, seminars, and teaching in high-def video on demand to smartphones, tablets, computers, set-top boxes, and more. Many of you are already familiar with my teachings, the quality of our broadcasts and the depth we venture to bring you the best Word The Lord has for you. Now you can enjoy this type of ministry anytime, anywhere, in the comfort of your home with family and friends, or on the go! 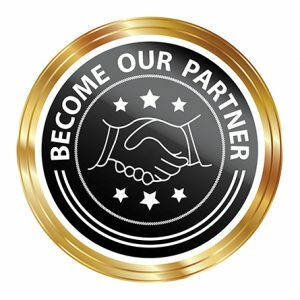 We have several plans you can select from in our subscription service, because whomever said “PARTNERSHIP” doesn’t have its privileges hasn’t checked out what we are offering! Your support of this ministry has its rewards and you will receive many welcomed surprises as time goes on. BAIM.tv’s latest new releases, plus many more titles will be available over the weeks to come with the video streaming service. So, check in often as new releases premiere weekly! In addition, you can watch and listen to many FREE programs on your own schedule. …can this really be happening? Yes! Dr. Ingram is making available to subscribers his extensive, exhaustive and expansive library of over 20 years of ministry with more than 10,000 hours of research and study in topics unheard by many in the Body of Christ. Additionally, there is new content developed and added weekly, not available on any other media platform. That’s right, this content is not available anywhere else and made available only to you here. As a new subscriber, review the various plans we have made available to you at affordable monthly rates, which are small in comparison to the many hours of content you will receive each month. Additionally, as a faithful partner you will receive special invitations to private broadcasts, workshops and seminars exclusively for you as a subscriber. Depending on your subscription level, you’ll get unlimited access to our original recorded broadcasts, teaching and training sessions and exclusive Live OnDemand Programs streamed directly to your computer, electronic tablet or mobile phone anytime, anywhere! Subscribe today and begin your long-awaited journey toward fulfilling your purpose and destiny. I’m so glad to have you as part of the BAIM.tv family and know you will enjoy your educational experience!